As OGN Spring Season approaches this Wednesday (7th January) we are all looking to what would happen to the Korean scene after the announced 1 team per organization and the mass departure of Korean stars and players known as the Korean Exodus. Fortunately, we have been given a glimpse of this during the OGN preseason. This article will set up on teams and match ups to look out for to enrich the viewing experience of the readers. For more information on the teams and their players, check out this article written by RiFb Sprtn. 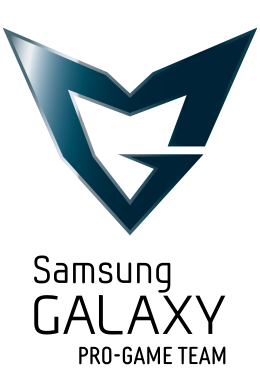 The only organization to have won 3 tournaments in a row (OGN Champions Summer 2013, Season 3 Worlds and OGN Champions Winter 2013), SKT T1’s dominance ended in Season 4, their poor runs in Season 4 during the OGN and failure to qualify for Worlds in a points tie breaker match against Samsung White caused the team to disintegrate, with their support Poohmandu retiring, Piglet leaving and moving to curse. The merging of SKT T1 K and S was speculated by many to be a better team and more stable than either K or S. This can be seen in the preseason with their top laner Marin destroying his opponents and single handily carrying some games. Pair that with Faker, a seemingly improved Bengi and their solid bottom lane Bang and Wolf, teams will be looking for ways to stop this team from regaining their former glory, and it might not be easy. Samsung arguably drew the short end of the stick during the Korean Exodus. Losing all of its star players which was dominating in Season 4 and Samsung White winning the World Championship, it seem to be a disaster for the organization. Indeed it was one of the big questions on everyone’s minds when Samsung’s new team was playing in the preseason, is this team able to live up to its predecessor? It is fair to say that the team performed rather well despite their 0 wins 3 draws and 1 loss score during the preseason. They showed skilled individual play and solid team play as well. However, it is undeniable that their lack of experience is a weakness that was picked upon and will continue to be so during Spring unless they have improved between the Preseason and OGN Spring. KT is one of the more fortunate organizations, being able to hold on to much of their old line up besides losing stars such as Kakao. The have demonstrated that they are still a very solid team with strong individual player such as ssumday. However, their performance was not enough to garner them good scores in the Preseason. Although the preseason was not significant point wise, it is in terms of seeing the effectiveness of KT’s new team and it is for now good, but no where to the KT that many know and love. Perhaps OGN Spring will see them improve again. Najin retained many of their old line ups and next to SKT T1 they too can be said to have been the more fortuitous team after the Korean Exodus losing their top laner Save to China. One having some of the most veteran players in the OGN, the demonstrated that with a 3-1-1 score in preseason. They are not without their problems however, with questionable pick bans and in game play, they are a team that can fall due to their own mistakes. This doesn’t take away that they are one of the favorites in Spring and many die hard fans will be looking to how they will perform. Jin Air has always been the team that is ‘almost there but not quite.’ On paper they are not a bad team, having GBM and Captain Jack as veteran players and huge play makers like Pilot who scored a Penta kill in Preseason shows that they have the guns do do so but they always seem to lack that small bang to their punch. Jennifer Kennedy covers their recent performance in Preseason here. Jin Air will be seen as an underdog in most of their matches among the top teams while putting up a strong enough challenge to CJ, IM and possibly HUYA. It should be said that despite always ending OGN with low standings, it is astounding that IM has been the gate keepers of Champions for almost as long as the Tournament has existed. With players achieving status due to their team’s role as quality control in the OGN, many would consider IM as the underdog in most of their matches except for possibly HUYA Tigers. One thing is for sure, IM fans will be happy that their favorite team is still in Champions after all these years. I have used one word often to describe HUYA in this article. Possibly. They can possibly be the next big upcoming team in champions, they can possibly establish themselves as one of the top teams in Korea, the list goes on. With a roster of veteran players mainly former Najin players Lee, Kuro, Pray, GorillA, Coach NoFe and Smeb from IM, they are the new kids on the block looking to gain fame and fortune. Definitely the most interesting team to watch for due to their new team status and the possibilities for them in Champions. This is a pretty no brainer. With a rivalry that has started as two competing telecommunications companies, extending to the days when they would always meet in the Quater Finals, the epic 2-3 game where Faker establish himself as one of the best players in the world by 1 v 1 Ryu’s Zed, this match up will be explosive. Look to the teams playing their best and coming up with new strategies to win and enrich the epic story between these two teams. SKT T1’s chance for vengence after Najin denied them a spot in the world champinship will be a story that is fantastic and amazing to watch out for. (Heh, Watch, get it?) Will Faker and crew gain vengence and redeem themselves? Or will Najin be able to triumph once again? With SKT T1 posing to take be the Alpha in Spring, Najin and KT will be looking for an opportunity to be 2nd in command. With both teams having various similarities such as veteran players and differences in play style, this match up will be the next fans will be tuning in for high level games next to matches with SKT T1. Well this one is abit stretched but it plays a significant role in determining the teams symbolic places in Champions. Crucially, this serves as a benchmark for the level of CJ, to see if they still are one of the top teams in Korea. Will CJ still prove to be the dominant one? Or will Jin Air finally have enough to punch through and claim victory? Or will IM finally be able to step away from their gate keeper role? Crucially, this gives us a good look at the level of CJ, to see if they still are one of the top teams in Korea. Sounds far fetched? Even more reasons to watch it to see if it will be true! Has a nice ring to it doesn’t it? HUYA’s place in OGN is an interesting one. They are not part of KESPA, they are a new team in Champions, they are funded by a streaming company in China, with all the recent drama of players moving to China, HUYA has got the new, young upstart kid to rule the streets image all taken care of. Now all we need is for them to roll this magnificently movie to see how far will they go. In this aspect definitely the most exciting team to watch for and something fresh in Champions. It does help that they have a huge fan base due to all of their team members having a background in OGN. Now all we need to do is sit back, relax, and enjoy the show that is OGN Spring Champions 2015.